The Honey Bee is one of the Kansas state symbols, and was commissioned by the Finney County Historical Society, Kanas. We discussed several different options before settling on this one.... 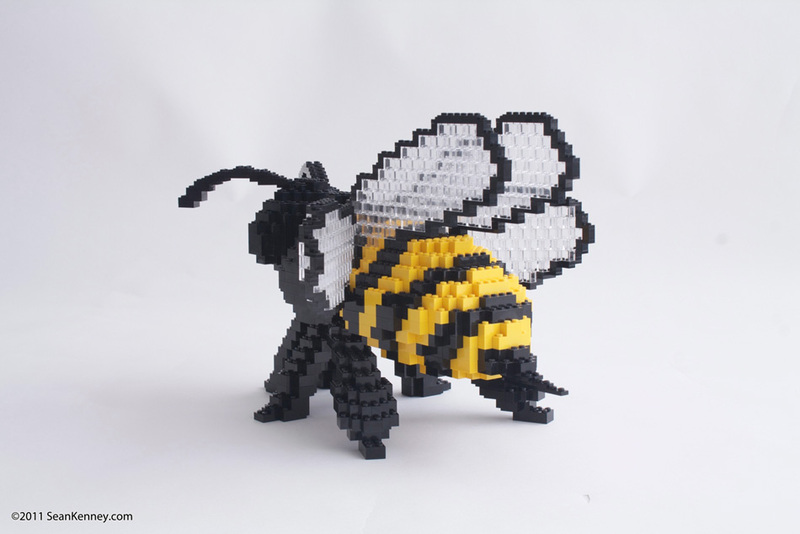 The bee won out over the other state symbols (such as the Buffalo and the Box Turtle) since we felt its shape and color would be the most exciting to render with LEGO. It was placed on display at the Historical Society's children's exhibit.